Tonight’s post is going to be a short one, mostly because I spent the night writing up my next magazine column, and I am all written out. Also, I was sick in bed today with a cold, so I don’t have much energy for writing, but I wanted to share this amazing recipe with you while there’s still fresh basil in the grocery stores. My family loves dill dip, but I can’t stand dill (shocking, right?) so I decided to make a dip out of my favorite herb instead. 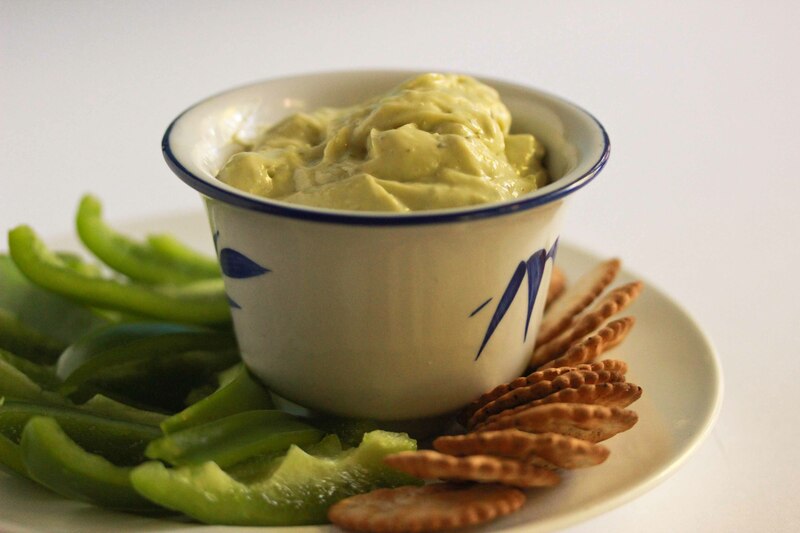 Enter creamy basil dip. Remember how I love basil? Well this is like pesto on steroids. Delicious. Dip your veggies in this, spread it on a cracker, or use it as a salad dressing. Either way, you can’t go wrong. optional 1- 1 1/2 Tablespoons sugar or sweetener. To use as salad dressing, thin slightly with water and toss with your lettuce. I’m all in favor of fresh basil in grocery stores, but just wanted to add a tip that they sell frozen chopped basil in 1-tsp cubes. I LOVE this stuff because I like using herbs but not enough to keep them from wilting in my fridge. So I have cubes of parsley, dill, basil, and cilantro in my freezer and they are soooo convenient! How many cubes do you use in a recipe like this? I can’t figure out how to convert it. This looks amazing! 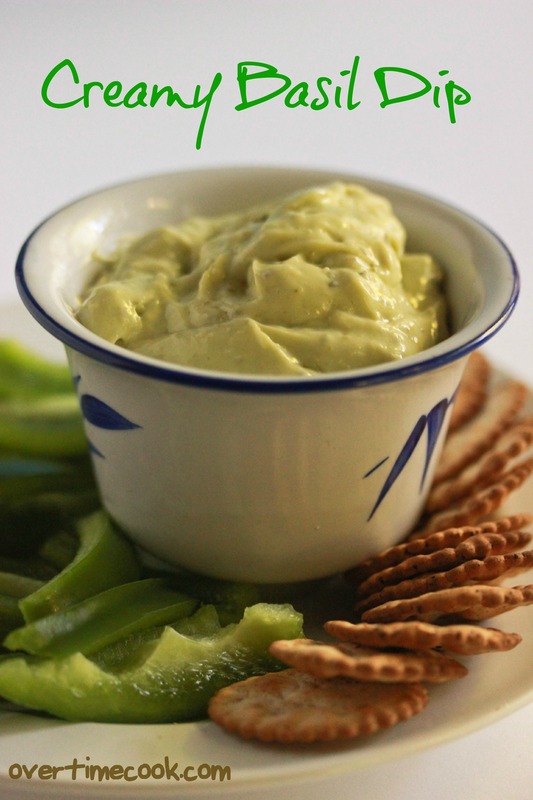 I LOVE pesto, this is the dip for me! I’m certain I would love pesto on steroids! Sending you get well wishes!!! This is ah-mazing. This dip can totally double as a sauce (like in a panini or something). There are so many possibilities! My boyfriend would love this. I love how simple this dip is! I feel like it taste great in sandiwches even. you had me at “creamy basil” — yum & amazing! Oh doesn’t that look good?? you can use 24 frozen basil cubes instead of the fresh in this recipe and it is really good! people ask me where I bought this dip when I serve it. Made it with Basil it was so good! Do you think substituting Dill cubes for the recipe would taste good? Hey! This is my favorite place to go to for recipes!! I was wondering if I can use the spice basil in the creamy basil dip instead of fresh or cubed.. And if so how much? It won’t have quite the same flavor with the dried basil, rather buy the frozen cubes. Can I use dried basil? How much dried basil would I use if I can use it? Rather use frozen basil cubes. How many frozen cubes? Thanks! how long g does this last in the fridge?